As you know our Host Tony will be away from show and I will assume the Host position and have special guests come in to co-host as me and DJ Super Star Boogie hold down the Fort of La Esquina / The Corner Radio Show. This saturday June 26th we have Frankie Cutlass as a special guest co-host. We have guest interviews with Latin Hip Hop artist Ques Fire and Bachata Group Loisadas. Check out the Lineup for Saturday below and feel free to research the artists on Google for Music and future projects..Enjoy the show and feel free to call in or email feedback!.. The listeners are what keeps us going!.. Log On 3pm-6pm Eastern Standard time Dont be tardy to the party! Unsurpassed energy and style continues to take root in the musical consciousness of America. The Cutlass sound forms the backbone for much of today’s popular music, such as on the “Charlie’s Angels Part 1” soundtrack, certified 3x Platinum selling soundtrack, “Don’t Be a Menace to South Central” was a certified Gold-selling soundtrack, the soundtrack to the movie remake of “Gloria” starring Sharon Stone, collaborations on Jennifer Lopez’s “Let’s Get Loud” DVD, as well as a “Blockbuster Movie” television commercial. Frankie Cutlass, born Frank Malave, was born in New York City’s Spanish Harlem. Frankie started picking up fans at local parties and clubs as a precocious and talented 13-year-old DJ in the 1980’s. By the early 1990’s, Frankie’s joined superstar DJ FunkMaster Flex’s and often spun at special events, and on the airwave for New York City’s Hot 97 (WQHT) Radio Station. Frankie is best known for hits like “Puerto Rico Ho!” and “Shake What Your Mama Gave Ya!”. Frankie’s interest had expanded into production as well as performance, leading him to work with popular artists such as Notorious B.I.G., Busta Rhymes, Jim Jones, Juelz Santana, Fat Joe, Joell Ortiz, Redman, Mobb Deep, M.O.P, Lost Boyz, Smif-n-Wessun, Biz Markie, Cool G Rap, Big Daddy Kane, Shaggy, Lumidee and veteran Latin Music artists such as Tito Nieves on his smash “I Like It Like That” and Latin Hip Hop Artist Voltio. Frankie’s fame however caught up with him while associated with gang activity and found himself entangle as a suspect in a federal investigation. He began to miss the gang’s weekly meetings, and no longer wanted to participate in gang activities. Because of this, the gang leader put a murder contract on Frankie’s life. After a long night on the eve of Easter (1997) He suddenly had a revelation of who JESUS really is. That night the HOLY spirit visited Frankie and he receive a clear understanding that GOD was calling him. The Next Morning, Easter Sunday Frankie anxiously entered a church in Harlem to make JESUS LORD over his life. Frankie has introduce himself to the Christian community by ministering at churches around the country, and has aligned himself with Leaders such as Dr. A.R Bernard (C.C.C), Evangelist Nicky Cruz, Dr. Creflo Dollar’s (Life after Death feature on B.E.T), Salt from Salt & Pepa, Allan Houston, Darryl Strawberry, Howard Cross, Charlie Ward, Mike Barrow & Joseph Henry Cortese (The Stortellas). Frankie will take the Urban- Hip Hop community by storm and awaken today’s Youth with his unique spiritually uplifting gifts. Contrary to popular belief, hip hop is not dead. As Ques’ newest hit Whiskey and Beer proclaims, “Hip hop’s been hiding out at my house.” With the roots of underground hip hop music suffocating under mainstream conquests it’s refreshing to find out an artist like Ques found a hole for air. This Bronx native delivers his music with the same lyrical capabilities of any of hip hop’s founding fathers, the humor of a class clown, and the knowledge of a street Socrates. His mix of creative talent and wit is reminiscent of a lost time in hip hop music when it was about the conscious message, as much as it was about having fun. Yet, according to Ques, his music is just a mirror into his world. What a view. Ques’ revolutionary roots stem back to his childhood. After the murder of his father, a political dissident, Ques knew it was no longer a dream, but a responsibility to pursue his ultimate love, music. Growing up in the Bronx, New York during the emergence of hip hop was exactly the fuel needed for this young artists’ fire. Ques became a local hit, performing throughout the tri-state area in venues such as Pyramid, Speed, West End Lounge, and Nuyorican Poet’s Café. Soon, he was opening shows for the late and greats like Biggie Smalls, Jay-Z, and collaborations with reggae sensation Elephant Man. Ques’ style is versatile. Outside of the fact that his bilingual background allows him to rap in English and French, his music has made it into television, radio, and Broadway theatre. 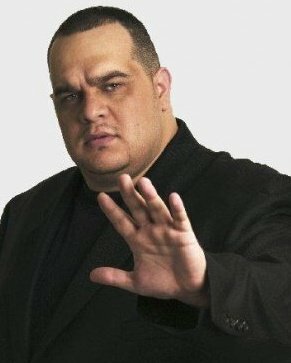 You can hear his work on the movie soundtrack for Sucker Punch, Reebok commercials, and more recently the Mountain Dew MDX radio remix. The man behind the music is currently working on his follow-up album to his 2005 debut, Open Book, which has sold over 5,000 copies and counting. 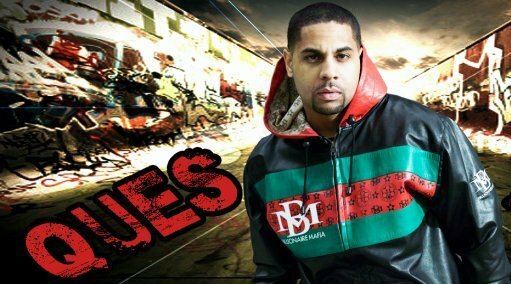 Ques is rated No.1 in the unsigned hip hop genre of numerous mp3 websites, including Garageband.com, and ISOUND.com. Brace yourselves for the fall 2007 new album release. So the following is there. The talent is there. Where’s the record deal? Ques doesn’t preoccupy himself with talks of signing n the dotted line. Though it is his ultimate goal, his immediate concern is bringing his life, love, and music to the masses by any means necessary. You can catch this laid back rapper rocking a Sweet 16, at a beat battle hunting for producers, or right next door cracking jokes making sure everybody’s having a good time. The Lower East Side of Manhattan home to many multicultural revolutions has undergone the process of gentrification, transforming from Miguel Piñero’s beautiful barrio to a trophy of status and prestige. Amid this affluence and prosperity there remains pockets of hunger, it is that hunger that drives the innovative psyche of Loisaidas and bachatas musical revolution. Since day one, this four member group (brothers Aquiles and Hernan Núñez, Isaiah Parker,William Bisono) has vowed to change the game. 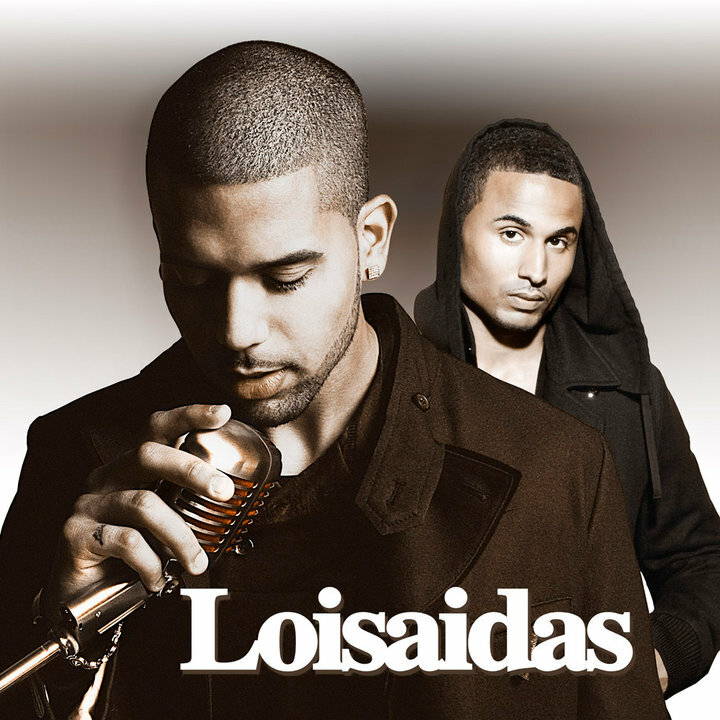 Welcome to Loisaidas… The urban bachata duo hailing from Manhattan’s Lower East Side. Songwriter and vocalist, Aquiles Nunez alongside long-time friend, Isaiah Parker, producer and psyche of the group; work to transform the echo of the most popular form of Latin music today. Their music a delicate and exclusive tapestry of urban sentimiento flavor. Their musical repertoire, includes Signature debut track “No Me Dejes” which enjoyed a 20+ week run on Billboard Latin Tropical Airplay reaching #8, and #2 on New York’s #1 Top Tropical Latin radio station, LaMega 97.9, right behind bachata sensation, Aventura. and coming single “Ayer”, a smoother and more contemporary track which is currently featured in Spanish radio stations across the US. Most recently, the group performed at the Latino Vibe Concert at the Dodge Theater with renowned artists such as Alejandra Guzman and Daddy Yankee. passionate voice, brilliant and notable presence, and ability to interpret text lyrically, Aquiles has earned the applause of the public in important theaters, concert halls and events, establishing the talent and innovation of the group. As the Miami Herald noted,“…sooner, rather than later, Loisaidas will prove their power.” And indeed this new Bachata duo is revolutionizing the urban Bachata genre for youth culture from New York to Miami and all across the US.